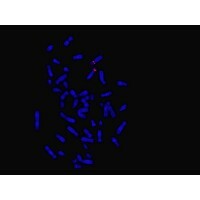 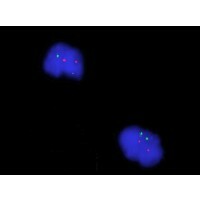 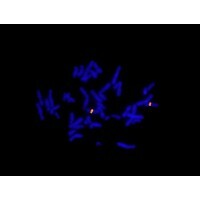 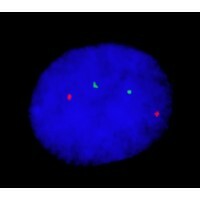 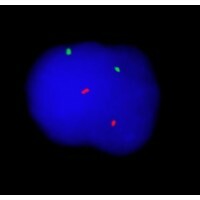 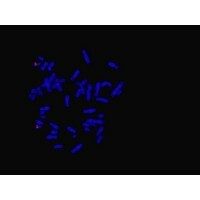 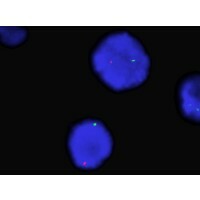 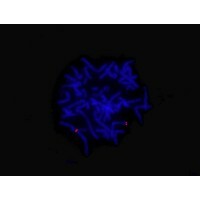 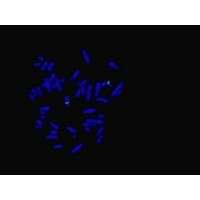 Fluorescence in-situ hybridization (FISH) is a sensitive and useful tool for detecting small populations of interphase cells with clonal aberrations. 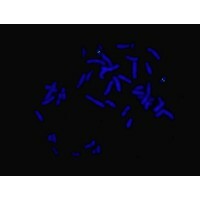 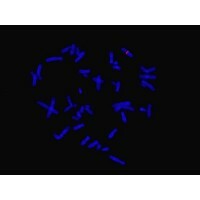 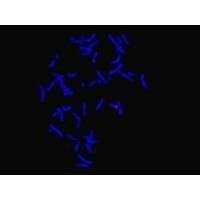 Once a clonal aberration is identified by routine karyotyping, FISH probes targeting the same aberration can be used on earlier passages of the cell line to determine whether or not earlier passages are aberration-free. 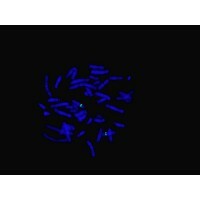 Because of its high degree of sensitivity, FISH can also be used to screen large numbers of cultures for recurrent chromosome aberrations and can be used to detect recurrent aberrations in cell lines that otherwise appear normal by standard cytogenetics.